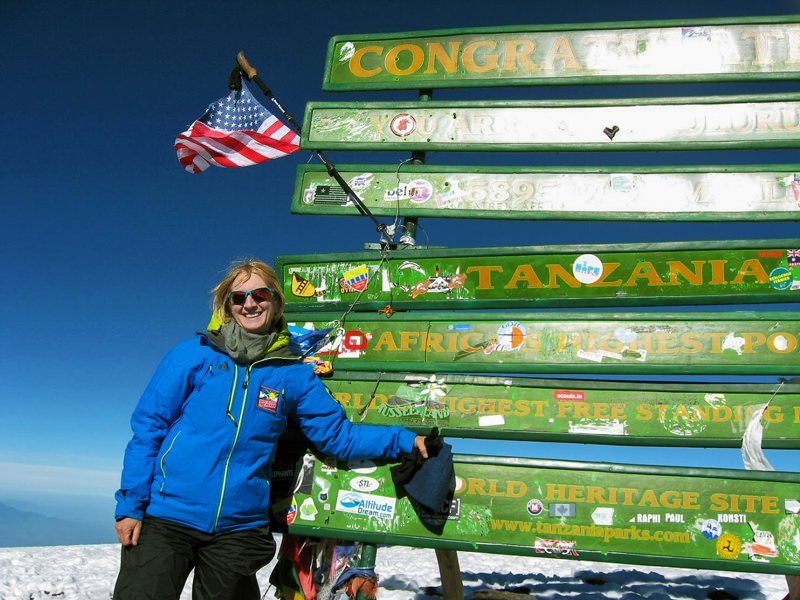 57-year-old Audrey climbs Mt. 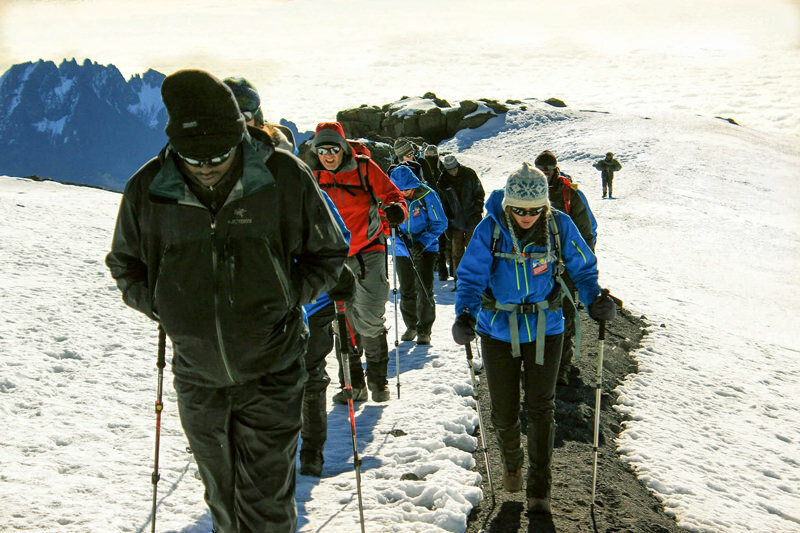 Kilimanjaro with a team of energetic twenty-somethings to raise $35,000 for cancer research. She ran her first half marathon (and then a second one as well! 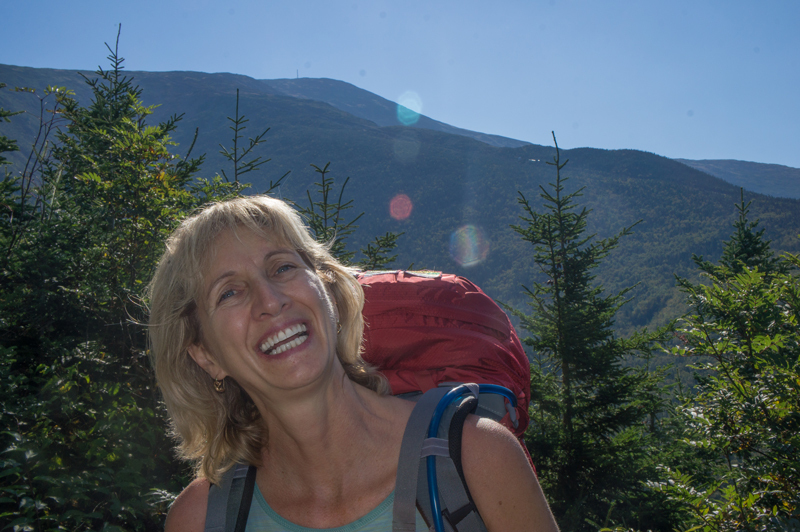 ), walked the perimeter of Manhattan Island (32 miles) in one day, biked a 100-mile mountainous “century ride,” and hiked nearly all 48 of New Hampshire’s “4,000 Footers” (mountains that top at 4,000 feet or higher — she plans on completing the remaining few this coming summer). 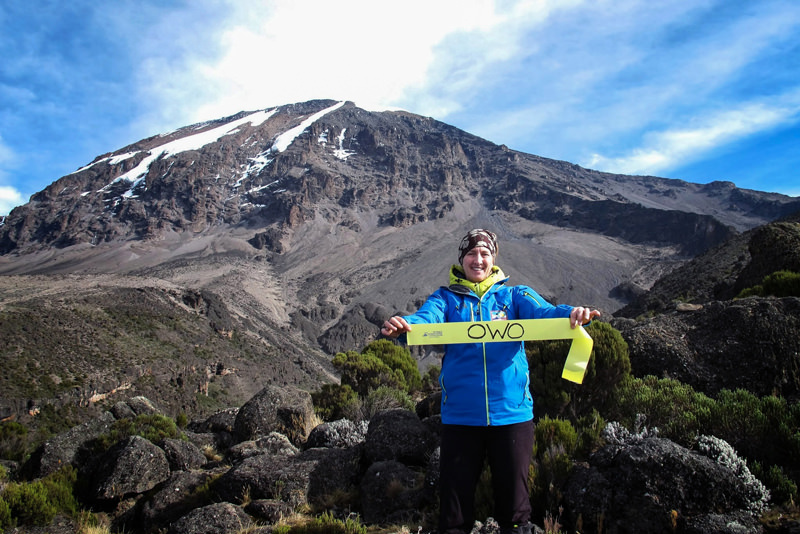 So, in the fall of 2013, her friends were not at all surprised when she announced that she would be ringing in the New Year by ascending the highest peak in Africa! This trek up Mt. 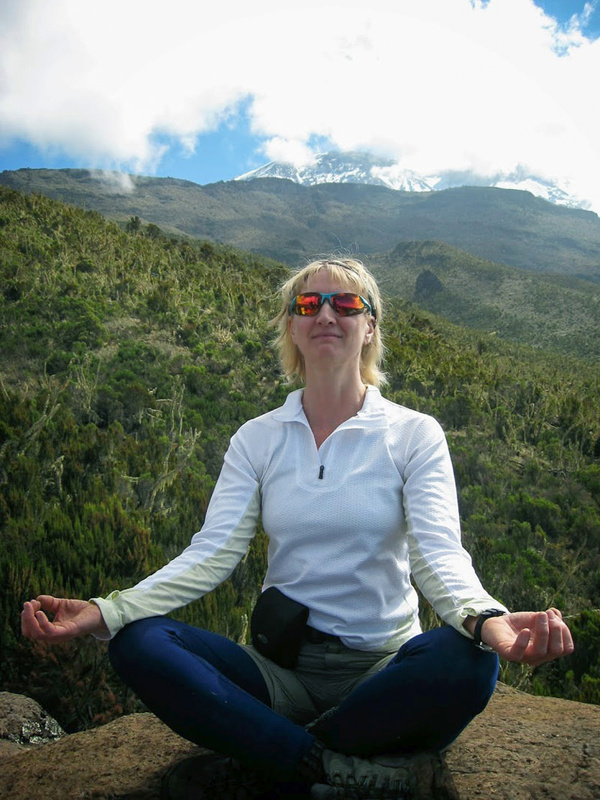 Kilimanjaro was not an ordinary climb. Audrey and her team were climbing to honor and remember their friends and family members who have been touched by cancer. Each teammate was urged to raise at least $5,000 dollars in donations (beyond the cost of the trip) to support cancer research at Dartmouth Medical School’s Norris Cotton Cancer Center. To bring further meaning to their journey, participants carried several long yellow ribbons. Inscribed upon the ribbons were the names of every friend or family member that each climber was honoring or remembering. Like fighting cancer, climbing Mt. 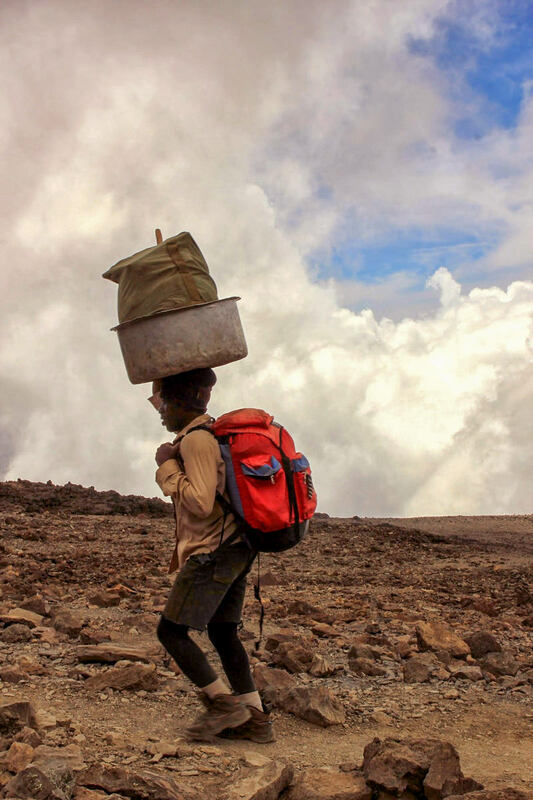 Kilimanjaro would take endurance, courage, and perseverance. But even more, Audrey knew this would provide an opportunity for her to reflect on her own personal goals and struggles while honoring the strength, will, and determination that her loved ones have had when cancer has intruded upon their lives. And so, as with any challenge, Audrey’s first step was to prepare. She trained at sea level by frequenting the gym and hiking nearby mountains in all kinds of weather, including deep snow. For a 57-year-old woman, Audrey was in great condition! But she knew that everything would be different at 19,000 feet! All these thoughts swarmed through Audrey’s head and forced her to push through some mental blocks. 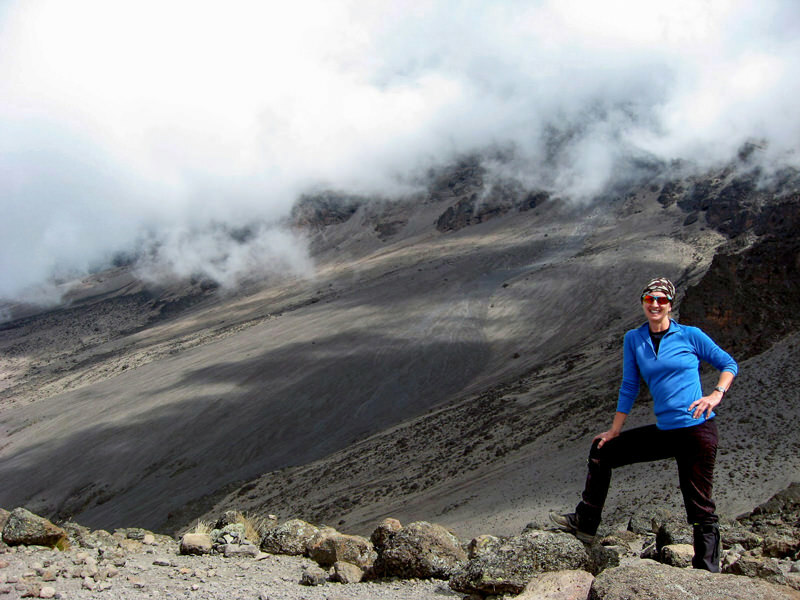 It can be hard to picture yourself overcoming such an enormous goal until you’re in the middle of it, and Audrey would be in the middle of it with a group of young hikers. All of but one of her fellow teammates (Wes, the team leader and organizer) were under thirty years old! In Audrey’s mind, they were basically kids. Her son’s age! She found this prospect was quite intimidating! 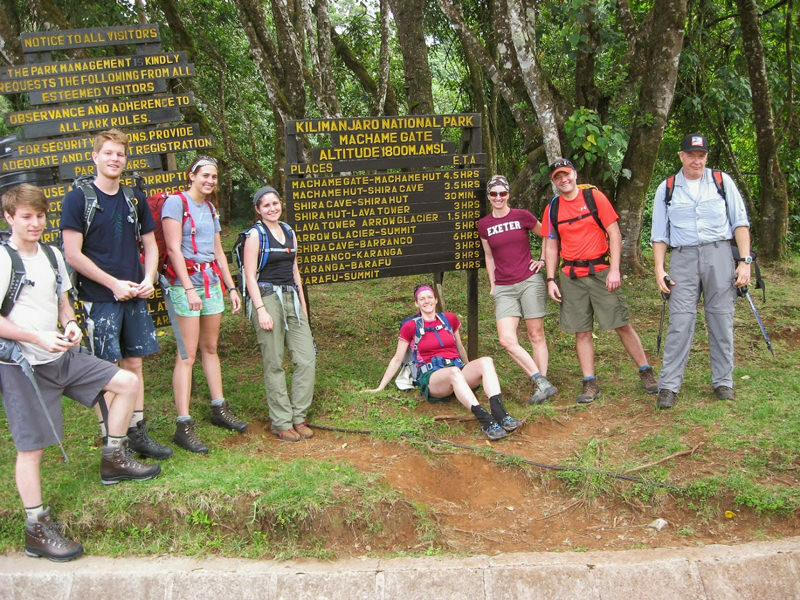 Here are Audrey, Wes, and the youthful group at the Kilimanjaro Trailhead — still all squeaky clean from their last showers! It turns out, Audrey had no cause for worry. She quickly and easily bonded with these “kids.” As the physician of the group, she had brought a complete medical kit and served as the team’s unofficial medic. But more important, as a “hip” older woman and mom, she fell into a comfortable and loving caregiver/older-friend role. Besides, no one could feel like strangers for long once they were heading up the side of Mt. 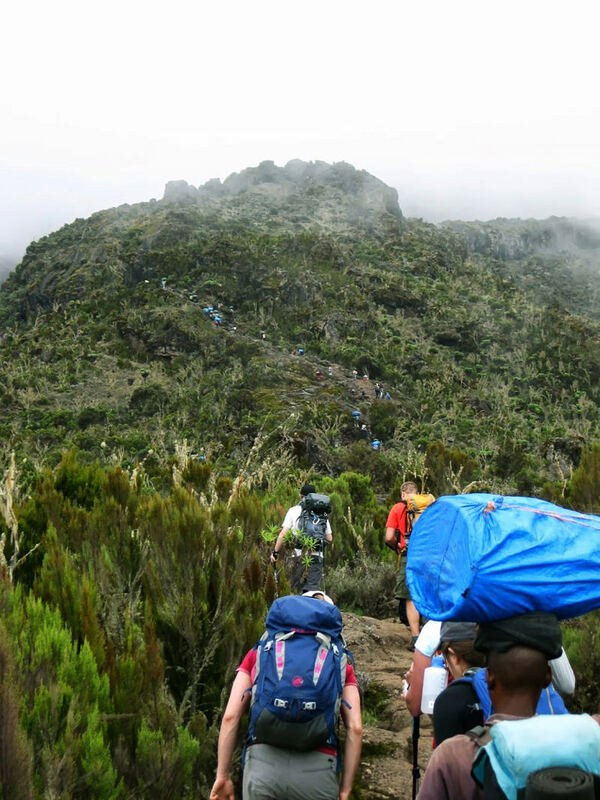 Kilimanjaro with packs on their backs and a distant peak in sight. It’s difficult to not become close when you are sharing small tents, enjoying amazing views, and eating meals with one another. And you make friends for life when you’re sharing a journey like this that’s for cause so close to your heart. 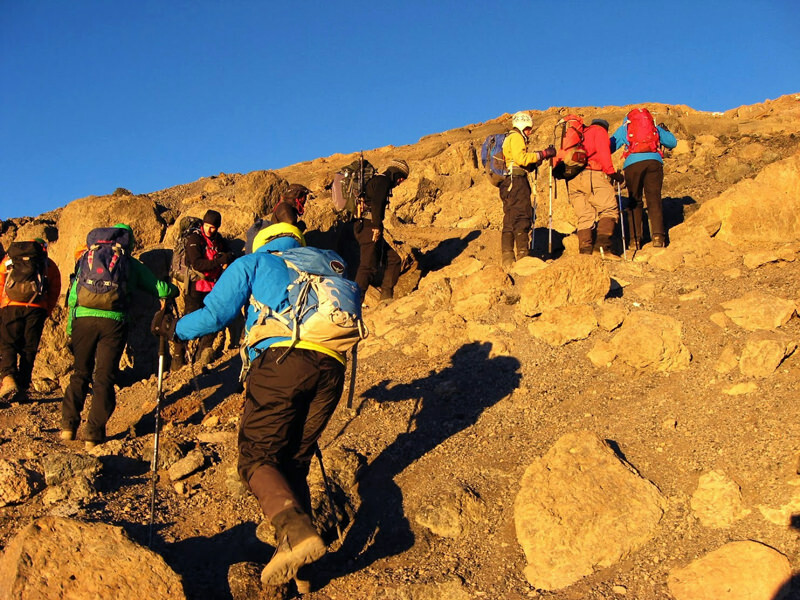 The large bundle of yellow ribbons they carried continuously reminded them of the true inspiration for the climb. Here Audrey is holding a ribbon in memory of a dear friend’s mother who was known as OWO to her close friends and grandchildren. 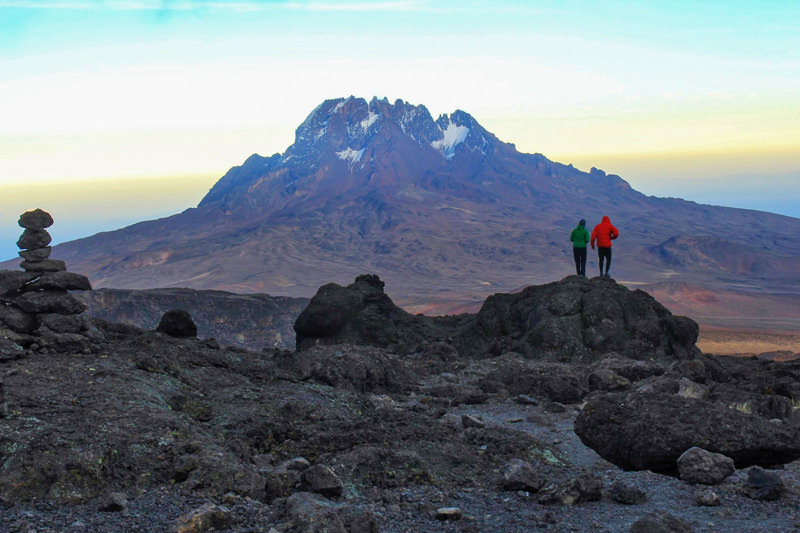 The summit of “Kili” sits in the background. As is required for all groups when climbing Mt. 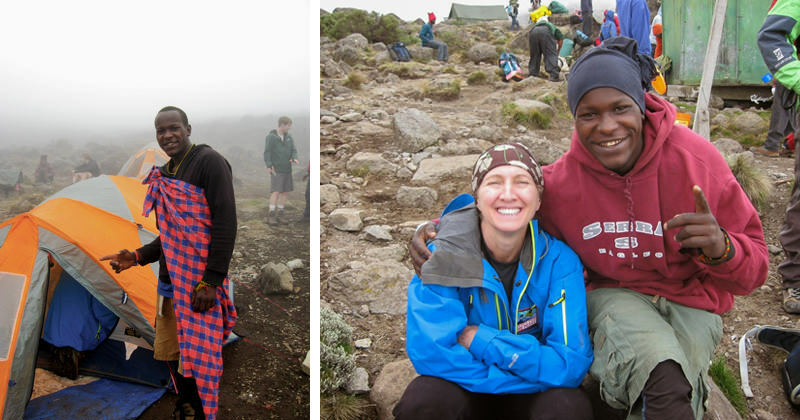 Kiliminjaro, Audrey’s team was accompanied by a group of local guides. These are young, local men who are charged with leading and caring for the group. The guides have hardly any gear of their own. Rather, they carry most of the team’s equipment and supplies. They erect and dismantle the tents and campsites as well as prepare and clean-up the meals. The guides also lead the team up and down the mountain, steering them on the correct path and taking care to consider weather and other issues that may arise. Each team member is assigned a personal guide. Audrey’s guide goes by the name of Eric. When Audrey would wake up in the mornings, Eric would bring her a cup of tea to enjoy before she emerged from her tent. He would also bring her hiking boots to her. By keeping her boots outside of the tent, her tent would stay clean. But Eric stored her boots in a warm and dry place. And since he would bring Audrey her boots, she didn’t have to walk around outside without them. To Audrey, this was true luxury! 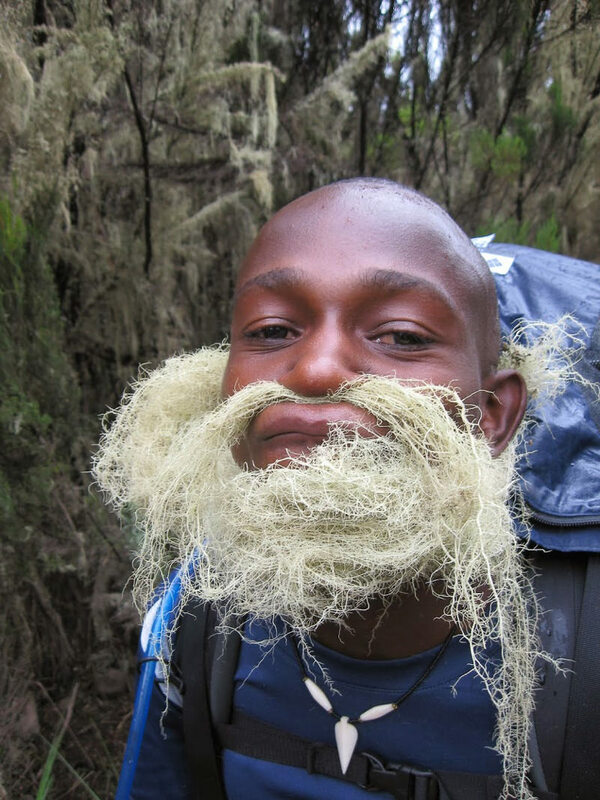 And eventhough the guides are very skilled and professional, sometimes, they just like to goof around! And in the fun-loving and warm spirit of her team-mates and guides, Audrey made sure she took time out to breathe and enjoy the moment. As the trip progressed, the team became more and more close. They shared stories as they hiked, not only about their hopes and dreams and lives back home, but also about their loved ones for whom they were carrying yellow ribbons. On many occasions, they enjoyed views of nearby Mt. Meru. When the team had only 2,000 feet left in their climb, it was time to ring in the New Year. Audrey ripped out several pages from the New England Journal of Medicine (all good doctors carry such things when they travel!) and used them to make paper hats for everyone. How festive! 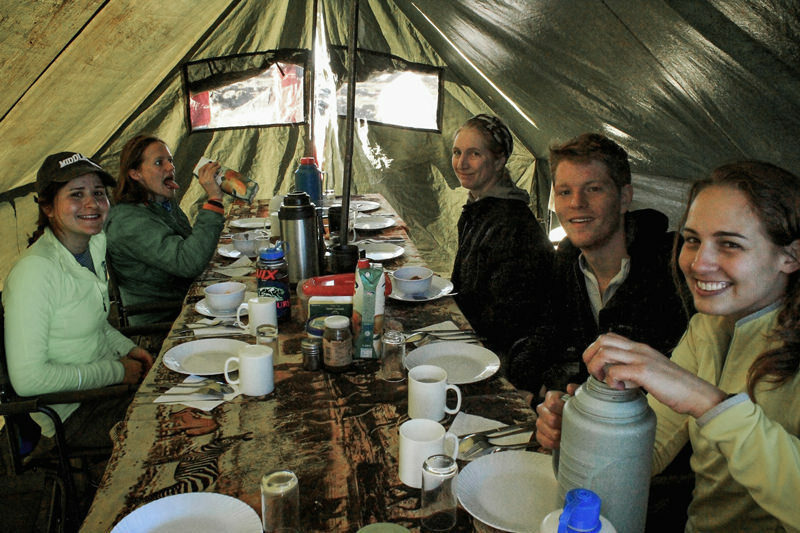 The friends gathered in a tent and shared their goals for 2014. And together, they contemplated on the enormous goal that they were all about to overcome together. 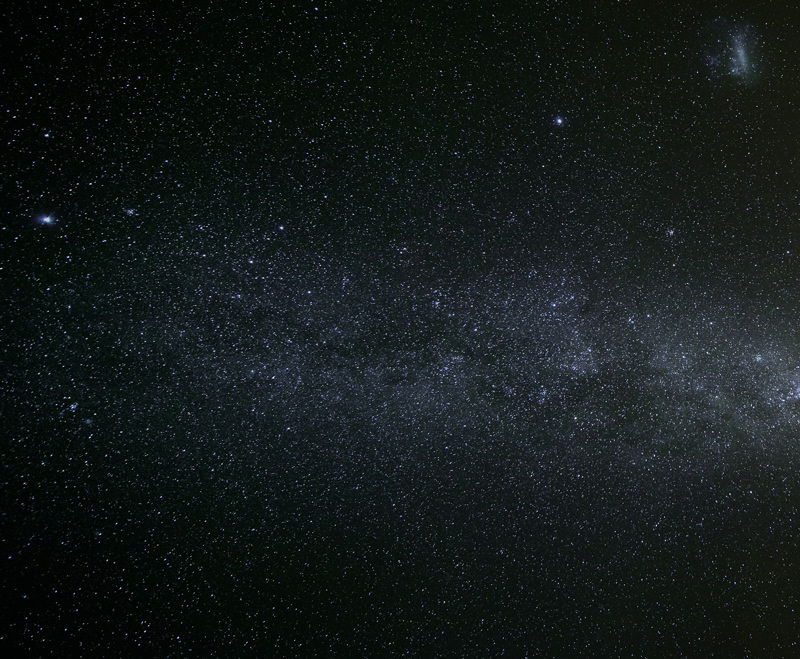 That night, at 15,000 feet, the stars were clearer than anyone had seen before. They ate their celebratory chocolate and went to bed. As they lay in their tents, they listened to their guides sing beautiful African songs well into the night. 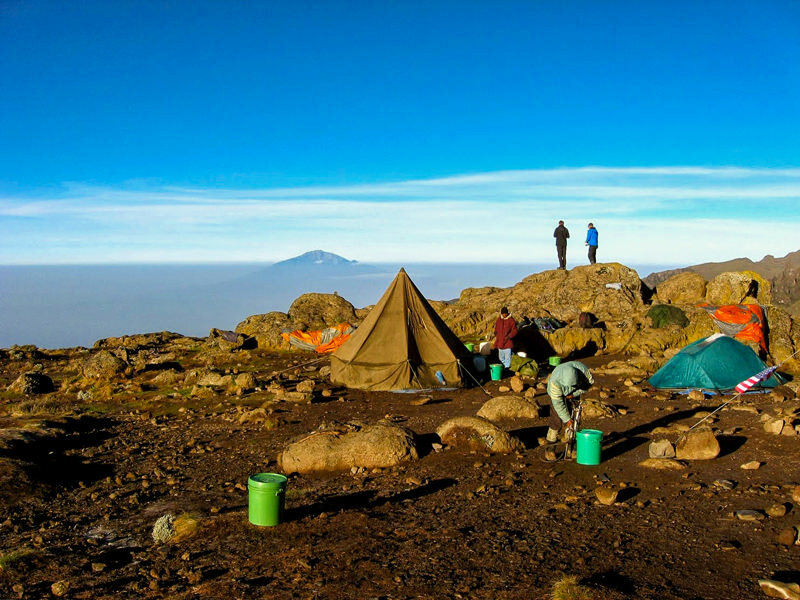 The morning that they were to reach to the 19,341 ft. summit, the team was up, packed, and ready to go by 3:00 AM. 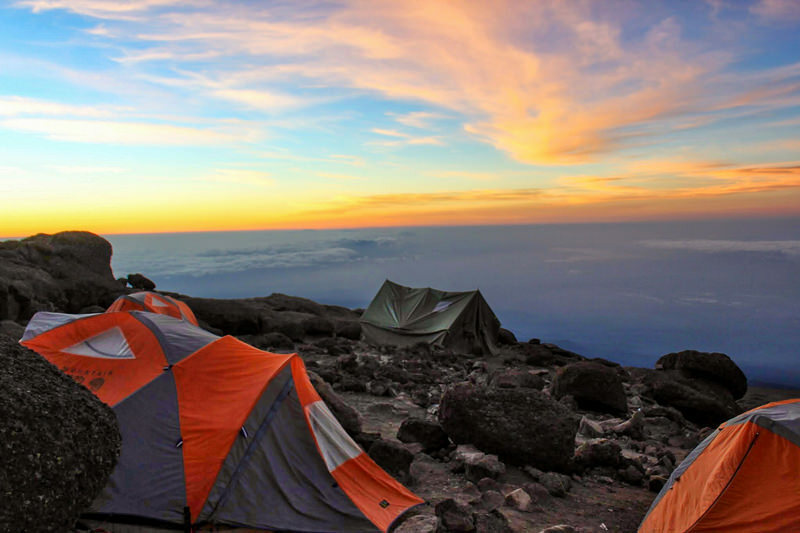 They reached the peak just in time to witness for a phenomenal sunrise. 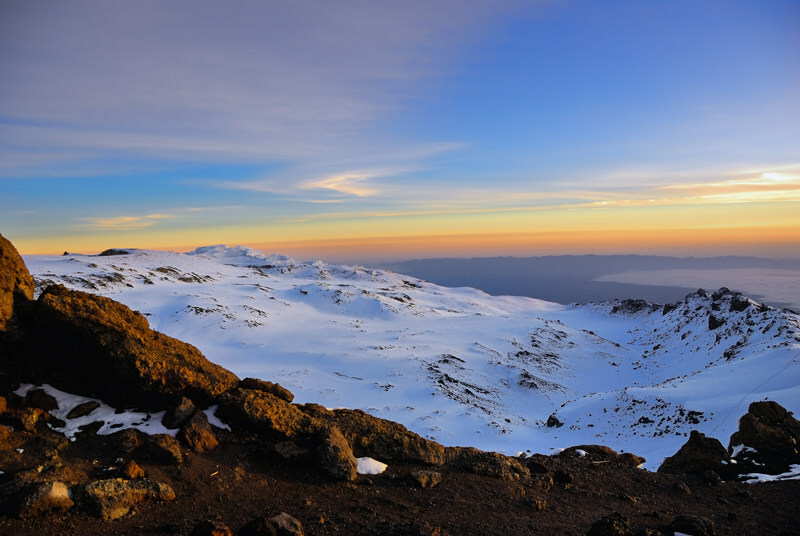 They were so high up that as the sun rose, the hikers could see the curvature of the earth. 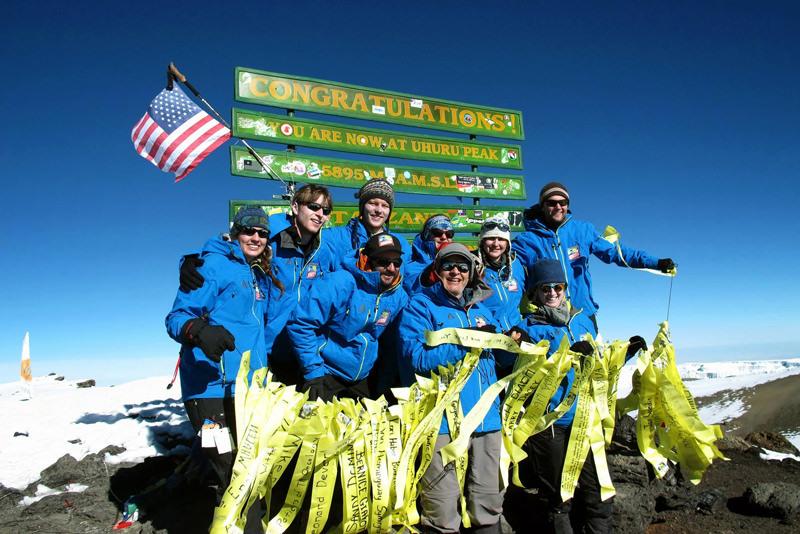 At the summit, the team gathered all the yellow ribbons to honor and remember loved ones and celebrate their ascent. 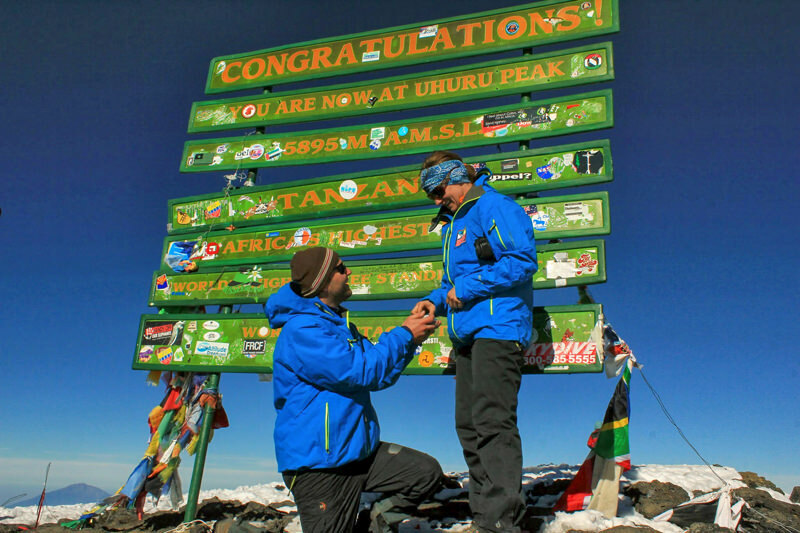 There was a proposal on the Top of Africa! She said ‘Yes’! Near the summit, they passed several glaciers. 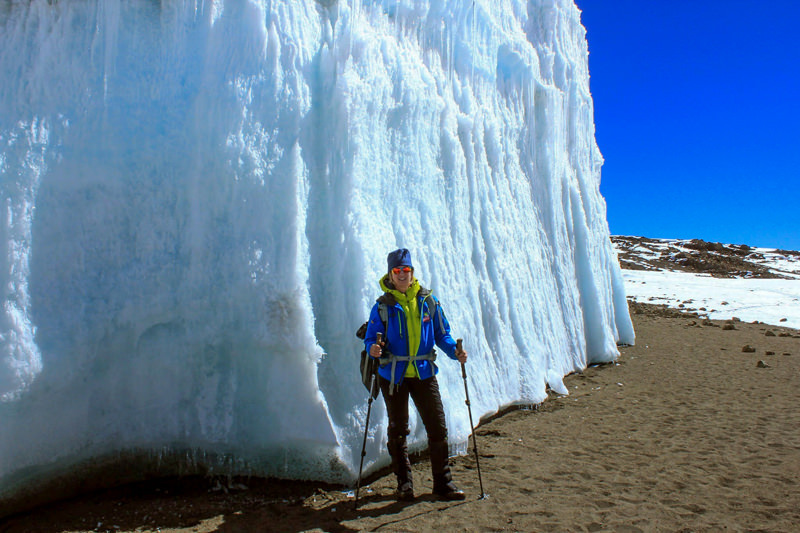 Audrey reflected on the years that these piles of snow have rested on the very tip top of the African continent. She thought of how she has spent her own years in her own life journey. Audrey was also grateful for this “peak” experience in her life! She worked hard to reach an extraordinary personal goal, all the while recognizing that her challenge had the greater purpose of supporting a cause that is so important and touches so many. In the end, this small party honored and remembered well over 100 friends and family members. And, they raised more than $35,000 to support cancer research. 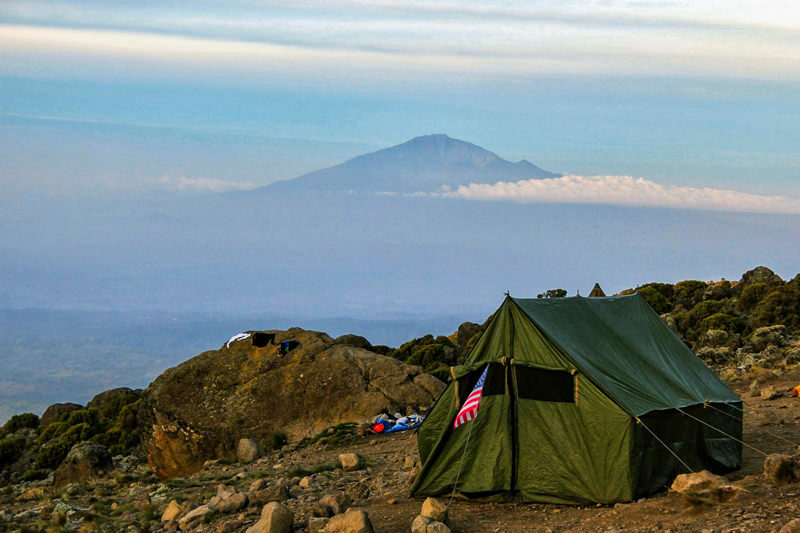 This will help to change the lives of more than just the people who found themselves celebrating New Year’s on the side of Kilimanjaro. Thank-you to Picaboo Customer, Audrey Kern, for sharing your story with us! How have you supported causes you care about? Which of your accomplishments make you most proud?